Many older homes across the Sunshine Coast still have asbestos roofs, it was commonly used near the coast as an alternative to galvanised steel due to its corrosion resistance. Asbestos is now known to be a very hazardous material and is not a great material for roofing. If you have an old asbestos roof, you might see that it has degraded to an extent. It might even be cracking or leaking. If this is the case, you should have it replaced. 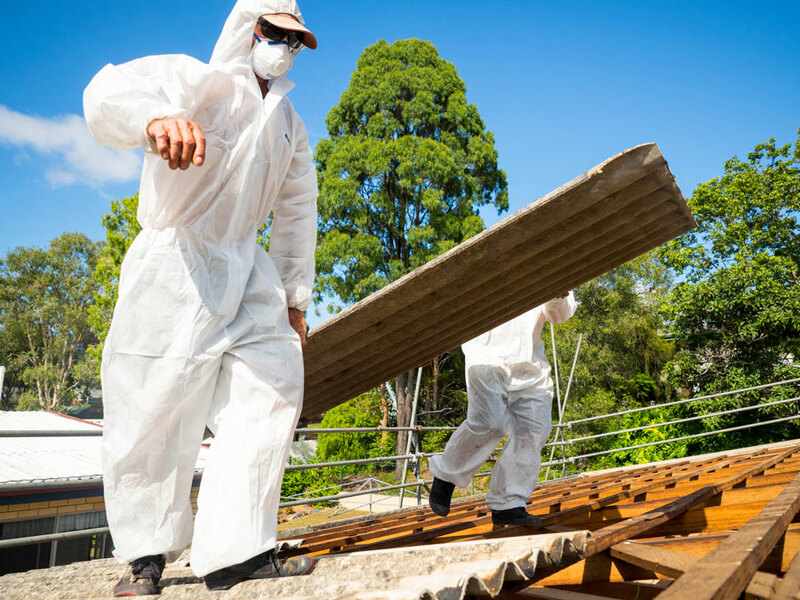 At Strongguard, we are experts at asbestos roof removals, Sunshine Coast wide. Our roofing specialists have the training, licences and experience necessary to safely remove your asbestos roof. We can replace your old asbestos roof with a new and superior metal roof from COLORBOND® or ZINCALUME® steel, or in exposed regions COLORBOND® Ultra. A new metal roof is safer, better looking and more durable than an asbestos roof. In addition, a new roof from Strongguard will be compatible with solar installation, so you can make the solar switch with ease. Asbestos is a dangerous material and removing it involves the right tools, knowledge and licences. Here at Strongguard, we possess all of this and more. Our team has a wealth of knowledge and experience when it comes to removing asbestos roofs. We take pride in offering a complete removal service. All asbestos that we remove is disposed of responsibly. Not only this, but it is also managed according to strict workplace health and safety guidelines. Safety is our number one priority and our aim is to eliminate the risks associated with asbestos. Using an experienced and well-regarded company such as Strongguard will ensure that your asbestos is removed to an impeccable standard. This means that you won’t have to worry about dangerous asbestos exposure. At Strongguard, we have developed a leading-edge process for asbestos roof removals. Our process is design to ensure the safety of everyone involved. We have carefully assessed all regulations relating to asbestos. We also have a lot of experience in the industry. As a result, we know exactly what is required to maintain the upmost in safety. The first stage of the process is to remove the asbestos itself. This step requires great care and consideration. To avoid creating any harmful asbestos dust, we remove each asbestos sheet very carefully. We then lower them by hand individually to the ground. For high set homes, we have a mechanical lift to help with this. Once all the sheets have been removed, we clean your ceiling thoroughly. To do this to a high standard, we use industrial hazardous vacuum cleaners that are designed for asbestos removal. We then spray a PVA solution to seal encapsulate all surfaces. 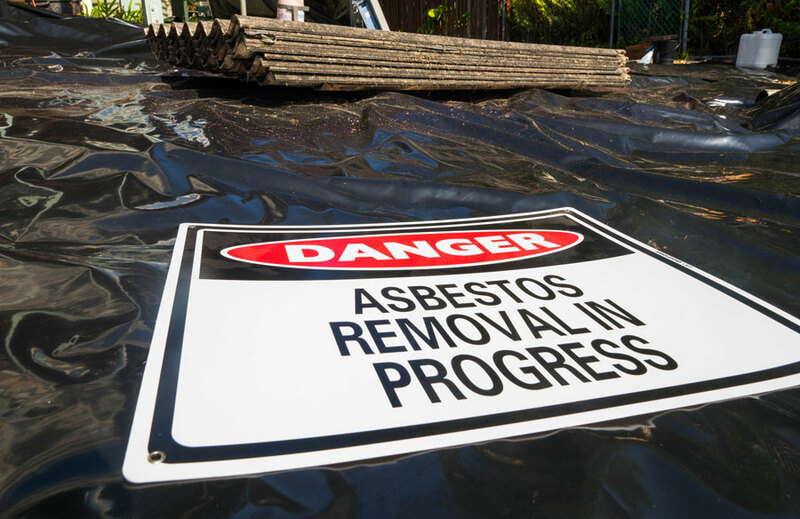 Due to the risks associated with asbestos, it has to be disposed of in a certain way. Disposing of it improperly can lead to harsh fines. To guarantee that we operate safely and lawfully, we dispose of asbestos using a specific technique. First, we stack the asbestos sheets and wrap them tightly in heavy duty black plastic, or place them in a lined skip bin, smaller waste is place in plastic asbestos bags. We then contact a licenced asbestos transporter to remove the wrapped bundles or skip bin with the asbestos inside. Then, we dispose of all other rubbish in preparation for the final stage. To certify that your roof is completely asbestos-free, we arrange a third party inspection. When this is complete, we will provide you with a copy of the report. By this stage, we are ready for the roof installation. Before that commences, however, we will check and re-screw existing timber battens. Finally, we will install your new roof with scribed capping, valleys, flashings and fastenings. We will then perform a site clean and handover the site to you. If your Sunshine Coast home has an asbestos roof, then you should consider having it replaced. You can contact the team here at Strongguard if you would like to explore your asbestos removal options. Simply give us a call, or submit and online enquiry. Our team consists solely of experts in asbestos roof removal. With Strongguard, you are guaranteed safe asbestos removal and an unrivalled roof replacement. #1 Is your asbestos roof removal process completely safe? 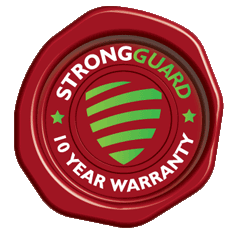 At Strongguard, we pride ourselves on maintain the highest possible standard of safety and care. There are many regulations in place throughout Queensland that oversee the safe management of asbestos. To remove asbestos, you must have the correct training and licences. Here at Strongguard, we have training, licences and experience. Our asbestos roof removal process is designed to guarantee the complete safety of our clients and tradesmen. Each stage of our removal is done in compliance with the Asbestos Removal Code of Practice. This is essentially a series of guidelines and regulations that govern how you remove asbestos. Adhering to these guidelines is crucial for a number of reasons. Firstly, dealing with asbestos in any way that is not outlined in the Code is illegal. Secondly, the Code is there to protect our safety and your safety. This means that it outlines the correct procedures for dealing with asbestos. Following the Asbestos Removal Code of Practice will ensure that nobody is exposed to the hazards of asbestos. #2 Will you have to remove my ceiling insulation? As a part of our asbestos roof removal process, we will have to remove your ceiling insulation. At the end of every asbestos roof removal project, we have to issue an asbestos clearance certificate. To qualify for one of these, we must ensure that all traces of asbestos are removed. Cellulose insulation and ceiling batts often collect asbestos particles. This is a particular issue in the removal process. That is why, as a precaution, we have to remove all insulation from your ceiling. Once we remove your insulation, we will clean the ceiling cavity thoroughly. To do this, we use a purpose-built industrial vacuum cleaner. We then coat the ceiling in a PVA sealant. Once this process is complete, we can install new insulation for you. Asbestos roof removal presents a great opportunity to upgrade all features of your roof. Insulation is a part of this, and it is relatively straightforward for us to install. It will not only ensure that your roof is safe and asbestos free, but also that you get the benefits of modern insulation. #3 Can you repair or paint my asbestos roof without replacing it? Here at Strongguard, we only offer asbestos roof removal and replacement. Repairing asbestos is fraught with hazards. Asbestos is quite brittle and weak. If it breaks, then dangerous asbestos dust will become airborne. This is a serious threat to both you and our tradesmen. It is far safer to simply remove the asbestos altogether. 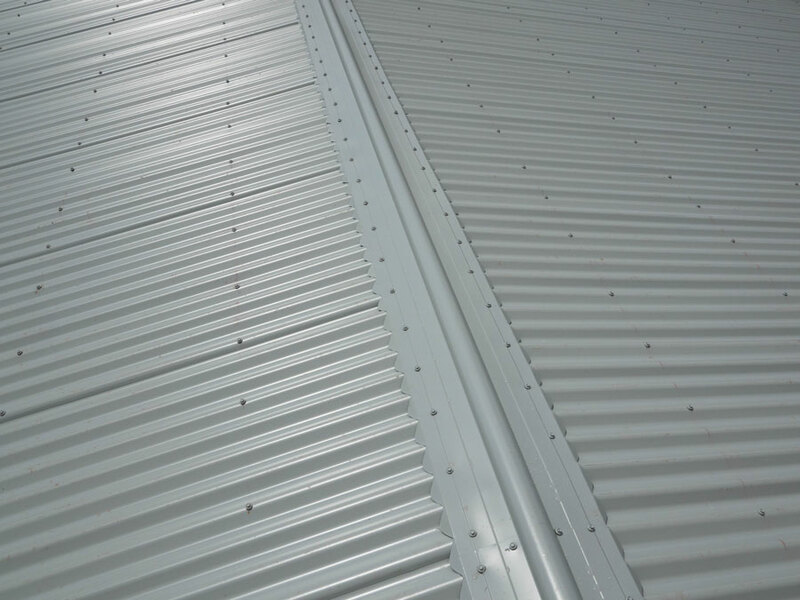 Once the asbestos has been removed, we can replace your roof with a brand new metal one. This will look far better and it will be much safer for everyone in the long run. When it comes to painting asbestos, there are many issues to consider. Of course, safety is the most obvious problem. We don’t paint asbestos roofs for the same reasons that we don’t repair them. In addition to this, however, it is not possible to properly paint asbestos. This is especially so as it deteriorates. Old asbestos often has a rough and loose surface. This means that the paint simply will not bond properly. #4 Do my neighbours need to know about any asbestos roof removal on my property? The regulations relating to asbestos removal state that your neighbours must be informed prior to the start of the work. For your convenience, we will do this for you. We will simply send a notice to your neighbours by post or letterbox drop. This notice will include all the necessary information, including dates and details. The local regulations also state that the Department of Workplace Health and Safety must be informed. Don’t worry though – we will do this too. #5 Will you need me to move out and stay somewhere else? Our process is designed to be safe and efficient. As a result, you won’t need to worry about finding somewhere else to live. During the asbestos removal phase, however, we do advise that you go out for the day. As well as this, you should shut your doors and windows before leaving. We shouldn’t take too long and your home will be safe to return to each night.